Describes the work during the decade 2000 to 2010 of Concern for Swifts (Scotland), the provisions of the Nature Conservation (Scotland) Act 2004, surveys to acquire information on Common Swift nesting colony numbers, use of records for local authority planning application processes, formulation of action plans for the Common Swift, and action taken in Glasgow, North Lanarkshire, Edinburgh, Tayside, Stirling, East Lothian, Highland and the Cairngorms, work to raise awareness, exemplifies the effective action which an individual can take, and judges that continuing action to monitor Swift numbers will provide a clearer view of Swift population trends in Scotland. This article relies on the published documents of Councils and Biodiversity Partnerships and on contributions and guidance from individuals in these organizations and from the Concern for Swifts (Scotland) project. Relying largely on relevant website sources supplemented by information directly provided, the article, “Nest site conservation action for the Common Swift (Apus apus) in Scotland 2000-2010,” records action through professional and voluntary effort to protect Swift nesting habitat in Scotland, by means of surveys to identify Swift numbers and nesting locations and policies formulated by local authorities and biodiversity partnerships, and gives examples of specific measures taken through the provision of nest boxes and bricks in existing and new buildings. Concluding remarks, which refer to current knowledge on population trends, assess the future prospects of the action described. During the decade 2000 to 2010 Concern for Swifts (Scotland) (CfS) has had a significant positive impact on Common Swift conservation action in Scotland, having produced leaflets, e.g. “Swifts in historic buildings: how to protect them during essential repairs and maintenance,” worked with a range of organisations and individuals, and provided website (1) information on good practice for local authorities and conservation organisations to follow. CfS continues to work to conserve Swift nest sites and create new ones where appropriate. The Scottish Government’s Planning Advice Note 60, “Planning for Natural Heritage,” published in 2000, (2) included as a case study Swift solutions at Culzean Castle, Ayrshire, the Gallowgate, Glasgow, and Stanley Mills, Perthshire, stating that Concern for Swifts (Scotland) could provide design advice on making provision for Swifts in building restoration and new development. The Nature Conservation (Scotland) Act 2004 (3) amended the Wildlife and Countryside Act 1981, making it an offence recklessly – as well as intentionally - to take, damage or destroy or otherwise interfere with the nest of any wild bird while it is in use or to obstruct or prevent any wild bird from using its nest. 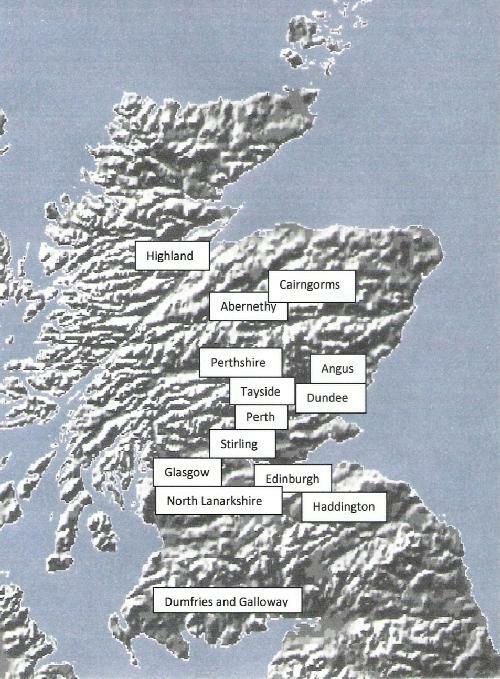 In November 2006 Concern for Swifts (Scotland) convened a meeting, with six Biodiversity Partnerships represented, which shared information about surveys in different parts of Scotland and about the best way to record information. A further meeting in January 2009 updated members on criteria for Swift nest site retention or provision as a condition of planning consent. In Glasgow CfS carried out surveys in 2000 and 2001 and has collected and collated records from others. Data was added to Glasgow City Council’s electronic mapping system for use by planners in 2001. In Edinburgh, co-operating with the Edinburgh Biodiversity Partnership, the Scottish Ornithologists Club (SOC) carried out surveys in 1999 to 2001, and decided on further surveys in 2004 to 2006. These surveys found small colony sizes prevalent and that, even in ‘good’ Swift areas, with birds concentrated in very few sites, the repair of just a few tenements could lead to the demise of Swifts in that part of the city. (4) The same would apply in other urban areas. In Tayside recruited volunteers have kept records for the past decade with information passed to the planning departments in Angus, Dundee and Perth and Kinross to add to their Geographic Information System (GIS) maps. The Tayside Swift Interest Group meets every autumn to update the maps of the region with the survey work findings and to discuss plans (both survey work and projects) for the following year. In North Lanarkshire information from CfS surveys in 2001 and 2002 was added to North Lanarkshire’s GIS for use in the planning application process. In Dumfries and Galloway and Ayrshire, records submitted by various groups and individuals are incorporated into the CfS data. Highland Council organised the Highland Swift Survey 2006 (5) to gain information on important breeding areas in the Highlands and to protect and promote these locations as Swift breeding sites. The first ever Swifts nest survey in the Cairngorms was undertaken in 2005. In 2009 the Royal Society for the Protection of Birds (RSPB) agreed to promote and to collect all Swift “screaming party” and nest site data for the whole of Britain. The Tayside Biodiversity Partnership, covering the three local authority areas of Angus, Dundee City and Perth and Kinross, has a Swift Action Plan with the prime objective of safeguarding Swift nest sites. (12) The Cairngorms National Park’s biodiversity action (13) does not include any Species Action Plans; action on species is taken through local Habitat Action Plans or individual projects. A Cairngorms National Park Authority leaflet invites submission of information on Swift nest sites, and provides information on Swift ecology, nest sites, putting up boxes, and a tear-off slip for recording Swifts and their nest sites. 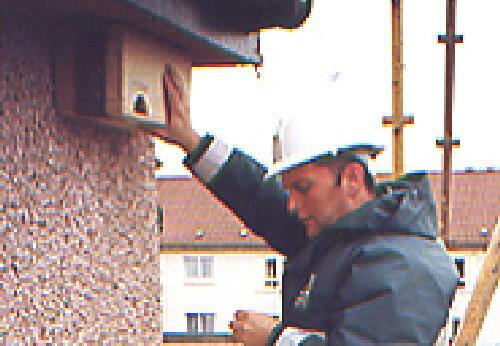 In Glasgow the City Council’s Housing Department adopted a policy of Swift nest site protection in 2000. 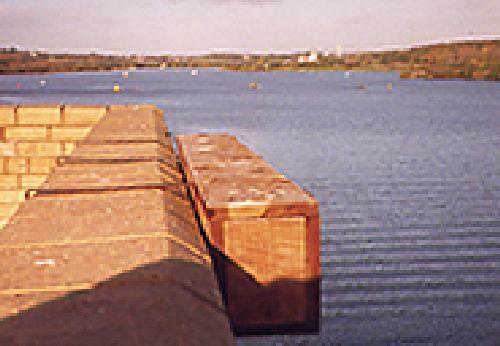 Since 2002 a computerised system, to alert planners when Swifts were present, was put in place and planning consents for new buildings in relevant areas have subsequently included advice to discuss provision for Swifts with CfS. Swift nest boxes were installed during housing improvement schemes in several areas. Following a proposal by the RSPB, Swift nesting bricks were incorporated into a new block of flats in the West End of Glasgow. The RSPB has made other requests for incorporation of Swift nesting sites in buildings in Glasgow and, in the case of schools, has reached the stage of initial interest in erecting nest boxes. Work to save colonies in the east end of Glasgow continues with the help of local community groups and CfS. Following the creation of the Glasgow Housing Association, a policy of Swift nest site conservation or re-creation was adopted by the GHA within its sustainability policy, and half a dozen schemes have been carried out since then, throughout Glasgow and in consultation with CfS. GHA and its member associations and co-operatives continue to work with CfS. In North Lanarkshire a re-roofing contract in Craigneuk, Airdrie, was delayed during the summer of 2005 to allow the young to fledge. Then an entrance was cut into the plastic of the new end capping tile and in 2006 the Swifts were back in the space below the ridge tile. 30 Swift boxes were erected on properties at Craigneuk by the contractor, paid for by the Council. Swift boxes are included in all new build schools in areas where Swift populations are known. 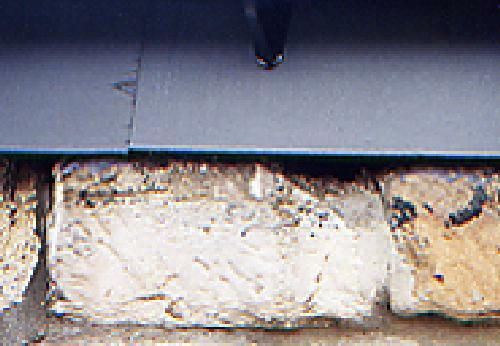 In Edinburgh, since 2004, relevant planning consents have required the incorporation of Swift bricks into new residential developments. This is discussed with the applicant during the application process and is generally carried out on the basis of goodwill. In 2010 a new dialogue was opened between Edinburgh Council biodiversity staff and the council’s property conservation officers to discuss the opportunities for retaining Swift nest sites and creating new ones. The biodiversity officers will seek funding sources for the construction of new nest sites. In Tayside, in Historic Scotland’s restoration of Stanley Mills, Perthshire (an 18th-century cotton mill built at a hairpin bend in the River Tay), gaps and small holes have been left in the top level of stonework in order to preserve access for Swifts. Hillcrest Housing Association in Dundee constructed two multi-storey Swift boxes, each with four apartments, for the Burnside Mill renovation project: the Dundee Ranger Service provided children’s activities and promoted Swifts at a Hillcrest Tenants Day. (14) Nest boxes were provided in 2007 at a hospital and council offices in Crieff and in 2010 – erected by the staff - at a Perth residential care home. 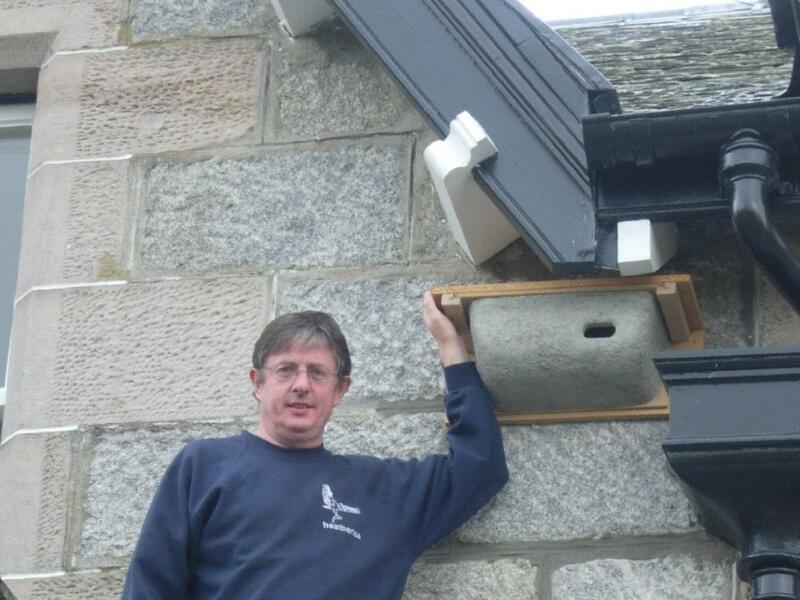 Schools in the villages of Kirkmichael and Burrelton, Perthshire, put up Swift nest boxes. In Angus the Council has erected a series of Swift nest boxes on two of the new local authority buildings at Orchardbank, Forfar. A Church Swift Project is being considered in the Carse of Gowrie and elsewhere in Perthshire for 2011, subject to funding. Local architects Muir Associates have designed an eco-house near Balbeggie, Perthshire, incorporating two Ibstock terracotta fronted Swift bricks, and have worked on another eco-house with Swift bricks, near Methven, Perthshire. In Stirling, in 2001-02, 200 Swift nest boxes were provided in known Swift breeding areas. Articles in community council newsletters and other local media highlighted the nest box scheme and asked for new records of Swifts. In East Lothian, CfS identified existing Swift nest sites in Haddington. In January 2009, the community group Sustainable Haddington acquired funding to have Swift boxes made by a local joiner. In conjunction with East Lothian Council, four boxes providing 10 nest sites were erected by council maintenance staff at three locations at the Council headquarters, John Muir House in Haddington. There are Swifts in the area around the building. In Gifford, the concern of a local resident led to potential Swift nest sites in the church being retained during renovation work. Highland Council recognised that to help ensure Swifts continue to return to the Highlands to breed, the protection and promotion of Swift breeding sites in the regional ‘hot spots’ identified needed to be carried out. This would primarily involve awareness-raising exercises targeting homeowners, builders and architects in the local vicinity of these Swift-nesting areas, to ensure building renovations and new builds do not adversely affect Swifts, but instead conserve their nesting habitat. In the Cairngorms, some survey data is available on GIS for use by the Park Authority’s ecologist on planning applications (though the Authority does not have full planning powers) and recommendations are made on nearly all new builds for the incorporation of Swift nest boxes. In the Caledonian pine forest of Abernethy, RSPB management of the forest ensures that dead trees remain as a resource, with holes made by great spotted woodpeckers later used by Swifts. There are five or six such areas on the edge of the forest. An example of action to raise the profile of the Common Swift is Perth and Kinross Council Ranger Service’s press releases, promotion at local shows and events, guided walks looking and listening for Swifts and nest sites, details in community newsletters, involvement in Swift nest box trials, work with schools and residential homes, and firing up enthusiasm for the public to carry out surveys themselves. Intentions enshrined in policy have led to impressive action in significant parts of Scotland, though there have been lost opportunities. With greater knowledge and resources it would undoubtedly have been possible to achieve more. It is difficult to foresee significant major change in the level of action being taken. However, favourable press publicity about action taken by an individual or organisation can make more people aware of action which they could similarly take. (16) Some action is being taken in urban areas in Scotland to improve or create areas of green space and enhance biodiversity, and consequential increased insect life potentially benefitting Swifts will complement action on nest site conservation and provision. In Scotland, the Common Swift is on the north-west edge of its summer habitat. National survey work has reported a decline in Swift numbers in Scotland. An RSPB meeting in 2008 noted that British Bird Survey (BBS) data was only available from 1994, but that the latest BBS showed a trend in Scotland slightly more severe than elsewhere. The position reported for Scotland in 2004 was a 62% decline in Swift numbers since 1994. However, the small sample size could exaggerate conclusions. In 2009, Swifts joined the Amber list of Birds of Conservation Concern, because of serious population declines in the UK. Updated assessment of trends since the start of survey work will provide a clearer view of the extent of the decline compared, for example, with England. (17) Continuing action to monitor Swift numbers will however assist in assessing any success in stabilising or increasing the population through conservation measures. This article has relied on the published documents of Councils and Biodiversity Partnerships and on invaluable contributions and guidance from individuals in these organizations and from the Concern for Swifts (Scotland) project. The individuals to whom I am grateful for information in this article are Clare Darlaston of Concern for Swifts (Scotland), Malcolm Fraser of Edinburgh City Council, Catherine Lloyd of the Tayside Biodiversity Partnership, Daniele Muir of Perth and Kinross Council Ranger Service, Deirdre Craddock of Glasgow City Council, Jonathan Willet of Highland Council, Andrew Sandeman of the Scottish Ornithologists Club in Edinburgh, Toby Wilson of the Royal Society for the Protection of Birds in Glasgow, Laura Whyte of North Lanarkshire Council, Stuart MacPherson of East Lothian Council, Guy Harewood of Stirling Council, Stephen Corcoran of the Cairngorms National Park Authority, and Desmond Dugan and Andy Amphlett of the Royal Society for the Protection of Birds Abernethy National Nature Reserve. Internet addresses quoted were valid at 31 March 2011.